Add some extra shine to your next promotion! 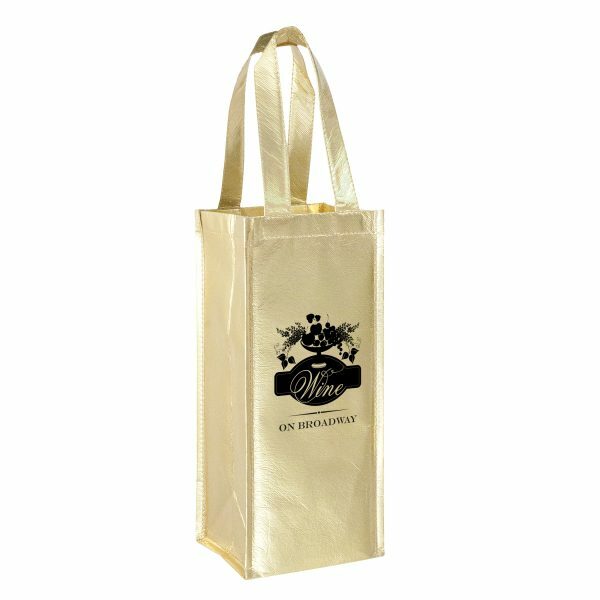 From the Vineyard Collection, this metallic 5” x 12” bag is designed to accommodate one bottle of wine with 5” gussets and 12” handles. Features stitched seams in the side and bottom gussets for added strength and protection. Constructed out of 100 GSM non-woven polypropylene with a metallic lamination. 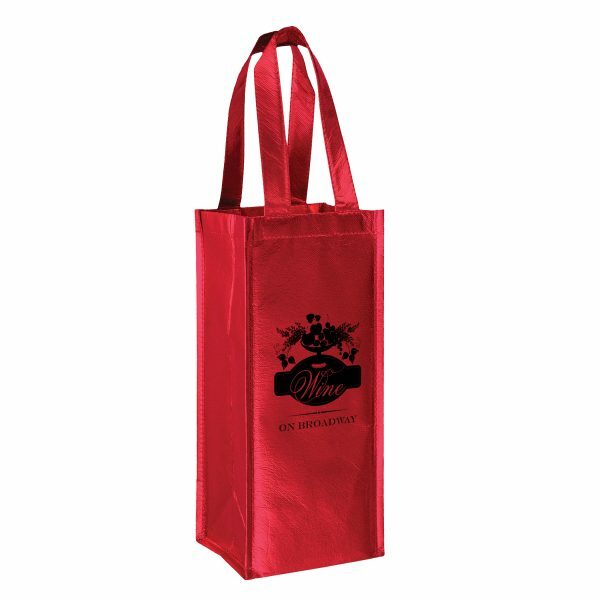 Customize this wine bag with your company name and logo for a flashy statement that sticks! 100 GSM Non-woven polypropylene with metallic gloss lamination – Recyclable # 5. 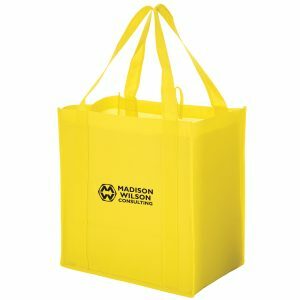 5″ W x 5” Gussets x 12” H.
Metallic 1 Bottle Laminated Non Woven Wine Tote Bag are designed to accommodate one bottle of wine. Features stitched seams in the side and bottom gussets for added strength and protection. Customize these reusable wine bags with your company name and logo for a flashy statement that sticks! See our other great reusable wine totes. Green reusable grocery bags are a great option for your company. We offer many sizes and styles. 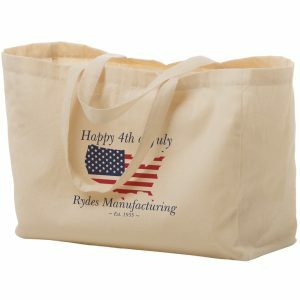 This ranges from Handy sized tote bag to options that have extra large storage capacity. Many of our totes offer plenty of room to carry your groceries and other supplies. See customgreenpromos.com for all of the options we offer. Add some extra shine to your next promotion! From the Vineyard Collection, this metallic 5” x 12” bag is designed to accommodate one bottle of wine with 5” gussets and 12” handles. Features stitched seams in the side and bottom gussets for added strength and protection. Constructed out of 100 GSM non-woven polypropylene with a metallic lamination. Customize this wine bag with your company name and logo for a flashy statement that sticks! 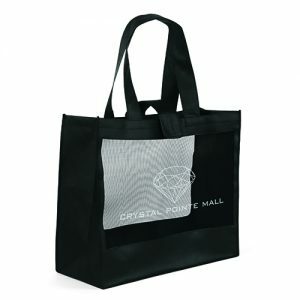 Material: 100 GSM Non-woven polypropylene with metallic gloss lamination – Recyclable # 5.